yay it’s Friday 🙂 I hope you all have great plans for the weekend! Today finally 6 month after having a surveyor over at our apartment my landlord and our house management are going to have a look at our windows and decide how to proceed. The problen is that the windows are old and porous and we constantly battle humidity in our apartment. They’ll turn up around 3.30 pm and we have to clean the apartment before. Hello, the landlord is coming and I’d rather die than letting him see an untidy room. Call me old-school but I want to leave a good impression. tomorrow’s officially a chore-free day!!! Maybe we’re going to spend the afternoon at our friend Manu’s new apartment. He moved in with his girlfriend a couple of weeks ago and now they adopted a cat. And then there will be a very lazy evening at home! Doesn’t that sound blissful? But first this morning I have to get some work done. 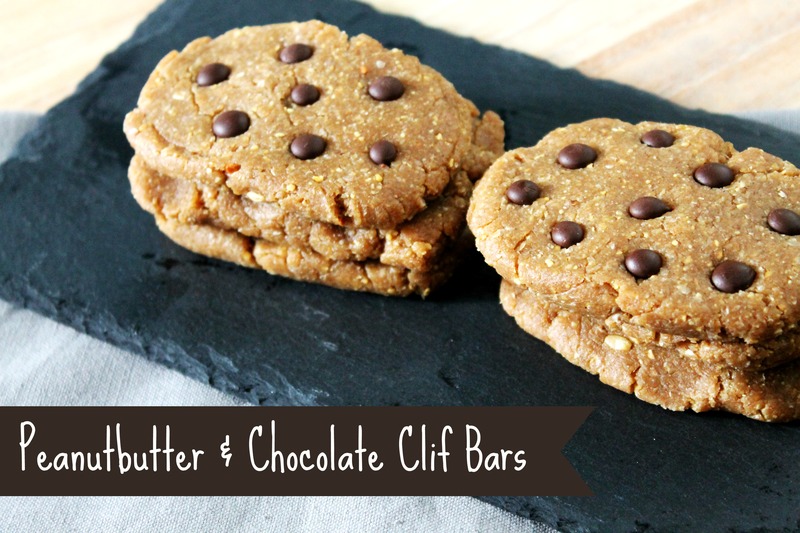 But not without sharing my recipe of Peanutbutter & Chocolate Clif Bars with you! Those are gluten-free, vegan and if you have a peanut allergy you can sub the peanutty ingredients for almondy ingredients. 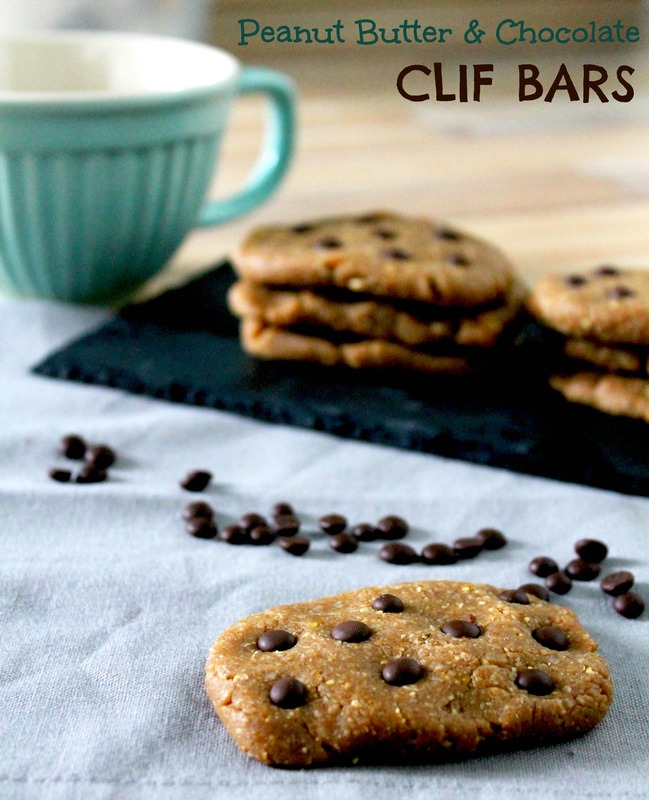 A no bake copycat CLIF BAR recipe that is full of protein without using any protein powders. Perfect as pre-or post workout snack or any time in between! Okay friends now I am on duty 😉 I have some unpleasant obstacles to battle. Sometimes I feel like a kindergartener though I am working with adults. Same behaviour, different playground! How high is up? Why is the sky blue? And whatever happened to Mrs. Healy? Thank you so much for posting this- your photos look amazing! I’ve never baked with soy beans before so I’m intrigued! Tonight you should eat burgers. Or curry. MMm my cravings. Cliff bars are my fave! Lovely recipe. Haha you’re right I’venever seen it from that perspective! I can’t get them here so I needed to find an alternative. Cliff bars are just so great! These photos came out great, and I love the use of dry soy beans. That’s awesome. Thank you so much! It was the first time I really made an effort to set up pretty pictures. I am pretty happy with the result myself. Of course there’s room for improvement but I will have a good time working on my photography skills. Dry soy beans are great for crunchiness!